Special thanks to all the attractions mentioned in this post for providing me with complimentary admission in exchange for sharing my experience. All Comments Must Be Approved Please Allow 48 Hours. A family dinner theater featuring staged medieval-style games, sword-fighting, and jousting. An amazing experience that keeps your adrenaline on 100 until the evening comes to an end. Travel through the mists of time to a forgotten age and a tale of devotion, courage and love—at Medieval Times Dinner & Tournament. Imagine the pageantry and excitement that would have been yours as a guest of the king ten centuries ago. That’s exactly what you will experience at the most popular dinner attraction. Witness first hand the heroic knights on spirited horses displaying the astounding athletic feats and thrilling swordplay that have become hallmarks of this unique entertainment experience. Arrive early and check out the onsite museums so much history and unbelievable items that have been around for over a 100 years. Chow down on an amazing feast as the dynamic performance unfolds before you. A sweeping musical score and brilliant lights provide a fabulous backdrop for this spellbinding experience that blurs the boundary between fairy tale and spectacle! 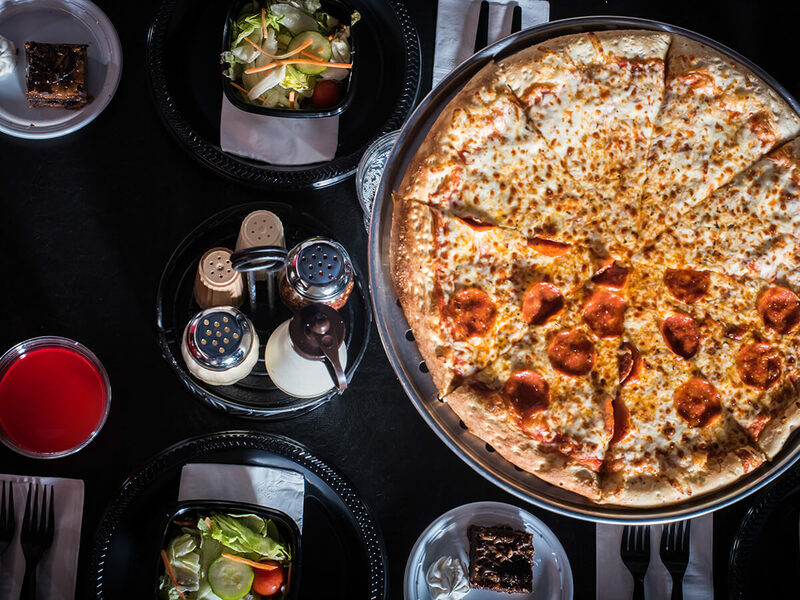 Whether you are celebrating a special event or planning a great night out with friends and family Medieval Times Dinner and Tournament has a package available for any occasion. Looking to celebrate your birthday free join the birthday fellowship to receive a free admission during your birthday month and be the first to know about special offers and more. **You must be emailed your offer 21 days and 2 days before your birthday. I had the opportunity to attend a dinner and tournament hands down the best part of my vacation. We took photo’s with the Lord and Lady upon entrance after strolling down the red carpet and being crowned. I am excited we plan to attend another showing when we visit Orlando next summer. The spirited horses were breath taking gorgeous. Our knight actual won the joust and final tournament so that really made the evening exciting.The dinner and tournament was the perfect date night for us truly wonderful. Make sure you check out the gift shop and the bar/concessions there is something for everyone to take home or enjoy during your visit. A unique experience Capone’s Dinner & Show delightfully different from any show you’ve seen! Capone’s Dinner & Show truly is fun for everyone from 2 to 92! Upbeat musical productions are some of the best this side of Chicago. Capone’s creates a jaw-dropping interactive experience for every audience member making the entire crown feel like a group of VIP’s. Strickly part of the family! You have many choices of dinner shows in Orlando but only one choice in Orlando for restaurant quality food and it’s Capone’s Dinner & Show. At other Orlando dinner shows they have to first cook your food, then it has to be plated and held before you arrive for dinner. We were falling over and full before the show started. Capone’s is celebrating 95 years of sheer love and laughter so make sure you check out one the matinee or dinner shows. King Thrifty participating in the show! Simply eye-popping from beginning to end one of my favorite live shows. 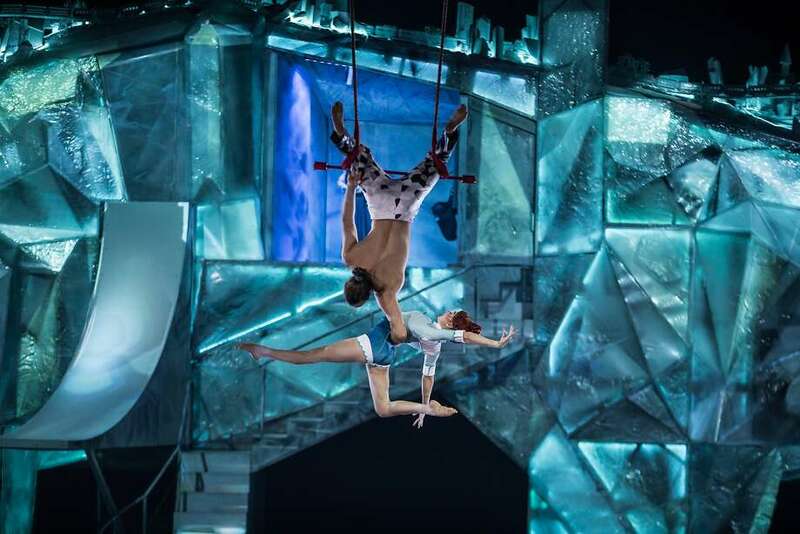 Cirque du Soleil “Crystal” takes on a magical escape to a wondrous world of make-believe to take in exhilarating acts that will stir your imagination. Crytal transforms the ordinary into the extraordinary and stimulates the imagination from beginning to end with daring acrobatics, dazzling choreography, vibrant music and whimsical characters only at Disney Springs at Walt Disney World Resort. I don’t want to spoil the show so you’re going to have to see it for yourself I promise as always Cirque du Soleil shows will never let your expectations down, but leave you raving to friends months after your show attendance. For guests with special needs with parties of 11 or less, please call (407) 939-7600 for assistance. For groups of 12 or more, please call (866) 353-5625 or email Orlando.sales@cirquedusoleil.com for assistance. Tickets were sponsored to attend each show, but I have provided 100% my opinion. These are some great suggestions! We love Orlando and have vacationed there often. We love it so much, we a relocating there later this year. We will definitely have to check these out! I loved “La Nouba!” It was awesome! I would love to see the Ripley’s show!! It looks really cool! Thanks for sharing! 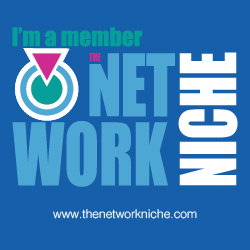 kristiedonelson(at)gmail(dot)com Thank you! Happy January! This is great info, thanks for sharing it. Great list. My family would love to see the Outta Control Dinner Show at Ripley’s Believe It or Not. Looks like a lot of fun for all ages. I love Cirque du Soleil! I’ll definitely have to see La Nouba if I’m ever in Orlando. I love Cirque du Soleil! The other shows seem bomb as well! Will definitely be checking them out and putting it on my list! Ripleys is fun! I live close to Orlando so we try to go often. There is so much fun stuff to do there! These all sound like a ton of fun! I love to do things that are out of the ordinary with the kids when I travel. Any of these would be perfect. Aww, this makes me miss Florida! I grew up there but am a Tennessee girl now – but then, maybe we have similar shows in Gatlinburg. That’s pretty close to me so I’ll have to check it out. awesome show recommendations I would absolutely love to go back to Orlando one day and I’ll have to add these to my list! Never been to Orlando and now looking forward to being there. The shows sound so entertaining. It always makes your night as a tourist to enjoy a great show but often the problem is you don’t know which to choose that will not disappoint. Thank you for your recommendations as these sound to be really good and full of value while visiting Orlando. lived in Florida until I was 14 then moved back to go to college and I haven’t been to any of these shows. Gonna have to go next time I’m in town. This is a great list. We have plans of visiting the US later this year and Orlando is one of them. I will bookmark this for reference. Cirque du Soleil all the way for me! Our family goes to all of them that come to town! Life theatre and performances are the best no matter what show it is! I have never heard of the first 3 shows in Orlando, but they look great. We saw the cirque du soleil show years ago and I still remember how amazing it was! I will keep these in mind we are hoping at visiting Florida in the next year or so. I’ve only ever been to one Ripley’s place, but it wasn’t that great. It looks like you had a good time on your trip! I love dinner shows. That Capone show sounds right up my alley. This is a very fun list. If I’m ever in Orlando, I’ll have to check these outs. Love Cirque du Soliel and seen that twice here in the UK. This are great other suggestions for Orlando instead of visiting Mickey-Mouse world. I have not been to Orlando since I was pretty young. I am way too far away to visit now, but since I am in Vancouver, we do often have similar shows come through. I really love the dinner type shows. I enjoy a good meal and drinks out plus the interactive bit makes it a good date night with the husband or if I take a group a friends. These all sounds like really cool shows to attend! What an awesome idea! I never thought about seeing shows while on vacation. What a great idea! All of these shows sound like a lot of fun. We have family shows like this where a live and are always a good time. When i go to Orlando, I will have to check one out. Thank you for sharing this! I will most likely check out these shows if one day I visit Orlando ! I havent been to Orlando yet, but ill keep these in mind when and if we do visit. They look like a lot of fun! We used to live in Orlando. There definitely are some great places to visit. I loved La Nouba.It is the best Cirque show by far. I have never been to Orlando before but this looks like a great list of shows to see while there. Great post! I bet the Ripley’s Believe it or Not is a fun dinner show. They have one in San Antonio Tx I think. We have a small Ripley’s Believe it or not with the wax museum but the last time I went they only had a concessions stand. I absolutely adore Cirque Du Soleil. The pictures look amazing too. I bet the Outta Control Dinner Show at Ripley’s Believe It or Not is super fun! We have something similar to this out at the coast. It’s always interesting to see what they come up with! I am headed to Orlando next month. I will definitely have to check this out! It seems there are lot of interesting shows to see in Orlando.I haven’t been,but I’ve read posts about Orlando.Glad that you have shared the ways to get discounts.That’s really helpful.. There is so much to see and do in Orlando! It is full of entertainment like this! We used to watch Medieval Times yrs ago and always had a blast!!!! Absolutely loved it! It was a dinner show that was always a site to see! It’s nice you shared this info. I love magic so I think Magic Show would be perfect! I think it’s been a long time since I last saw a dinner show! I sure would love to catch these whenever I find myself in the area. They all sound awesome and entertaining. I try make one show per year. This sounds like a lot of fun. We appreciate family entertainment. We’ve got to get to Orlando within the next year. Orlando has so much going on that any insights and recess are very welcome. Thanks! We are hoping to visit next year, this is a great list. Thank you. Pretty amazing post, I see all of those discounts! As summer approaches, I sure needed this thanks again! i haven’t heard about them but they see awesome! !